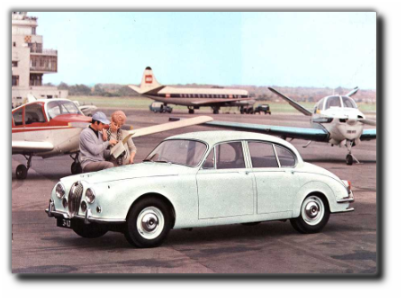 The Jaguar 240 & 340 as well as the S Type are often all regarded, by some, as Mk2 Jaguars. In fact they are derivatives of the early model ! 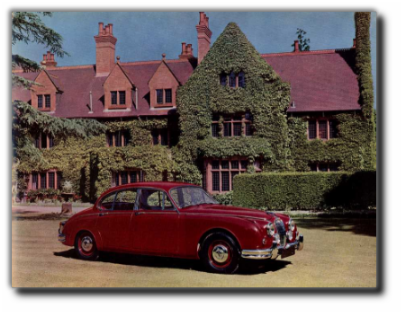 Jaguar Mk2s were launched with the following distinguishing features - large deep bumpers with overiders, small side running lights above the front wings, fog ranger spot lights, full leather upholstery together with highly polished wooden veneer trim and of course deep pile carpets finished off the luxury interior. This was all provided for in the standard price. The "240" and "340" models were introduced when Jaguar were making cut backs in Mk2 production costs due to a recession. They removed from standard, the front fog ranger spot lamps and fitted grills in place together with removing the leather interior and replacing with ambla (plastic), they also reduced the thickness of the pile in the carpets . The front and rear bumpers were replaced with new slim bumpers in an effort to reduce costs of materials. Customers could, of course, specify they wanted the original features but would pay a surcharge. 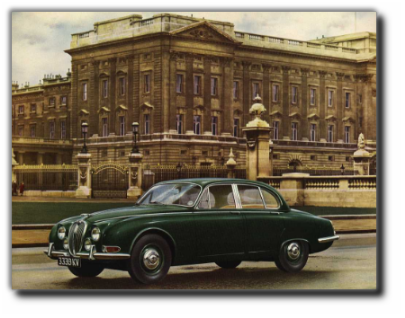 The "S type" was in fact introduced by Jaguar as a crossover car between the model ranges of the Mk2 and the newly designed, but yet to be launched, Jaguar 420. It had an elongated body with twin fuel tanks as standard, together with independent suspension all round. Inside, the main distinguishing feature is that it has a glove tray fitted under the dash and arm rests built into the front seats. It was never used with great success in competition. 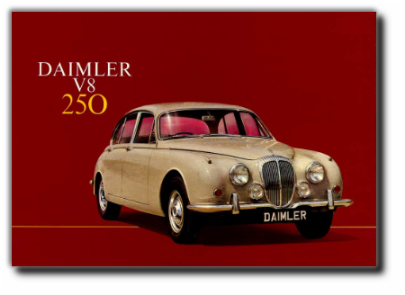 The "Daimler" can be recognised by it distinctive fluted front grill and rear number plate lamp, but the main feature is a 2.4 litre V 8 engine. It is regarded as being under powered and was designed to be a luxury runabout and not a high performance car and has a combination of the above. Spot the difference in the cars below!